THE founder of the Leave.EU Brexit campaign and his chief spin doctor will face further questions from MPs after a fiery clash with a Commons committee investigating so-called "fake news". 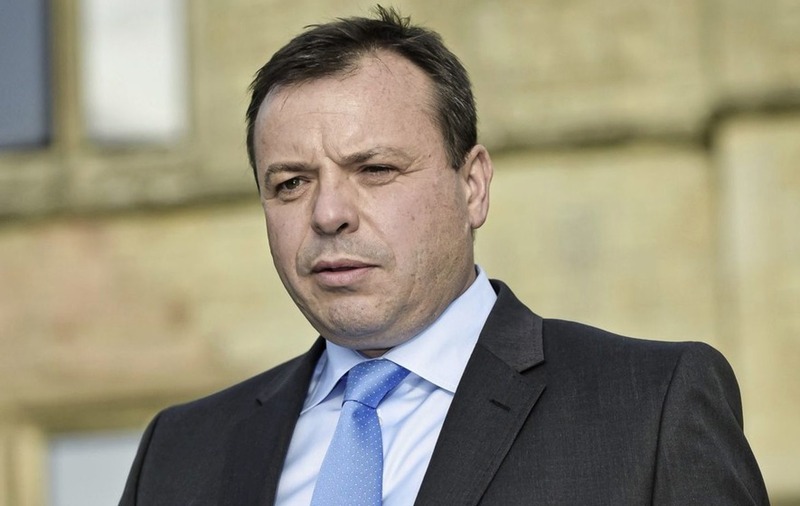 Brexiteer Arron Banks admitted he "led people up the garden path" during the referendum campaign. 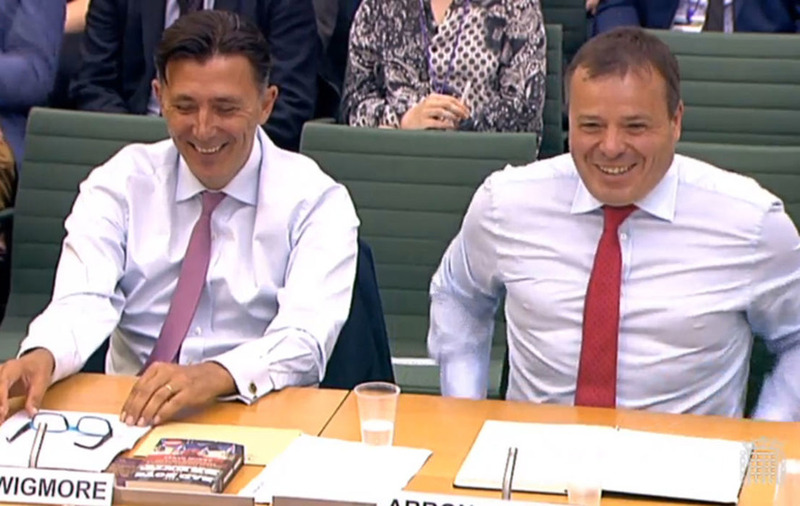 Digital, Culture, Media and Sport Committee chairman Damian Collins said the pair admitted to Parliament that they "frequently lie" and the MPs would write to the pair to "follow up on various points raised during their evidence". Leave.EU founder Mr Banks said it used alternative methods to influence the Brexit vote, as he and its communications chief Andy Wigmore were grilled by MPs over the conduct of their campaign in the 2016 EU referendum. Mr Banks walked out of Tuesday's occasionally ill-tempered hearing before the MPs finished their questions after the committee over-ran, saying the pair had a lunch appointment. The pair criticised the evidence given to the committee by Cambridge Analytica whistleblowers including Brittany Kaiser and Chris Wylie, saying they were not particularly credible witnesses. 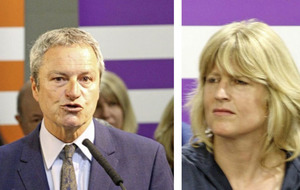 Setting out the campaign's approach, Mr Banks said: "We were not above using alternative methods to punch home our message or lead people up the garden path if we had to." Mr Wigmore added that "the piece of advice that we got, right from the beginning, was remember referendums are not about facts, it's about emotion and you have got to tap into that emotion". He was challenged on a previous claim that Leave.EU had "AI machine learning developed in Bristol by 20 mathematicians and actuaries with input from Cambridge Analytica at the very beginning and then executed by (US political consultancy) Goddard Gunster". He replied: "There was probably a bit of boastfulness. I'm an agent provocateur, my job is to spin. "I would be guilty of being an agent provocateur, slight exaggerating in the message - quite often - I'm guilty of doing that, absolutely." - Accused Parliament of being a source of fake news. The paper said it saw emails showing he also discussed a potential business deal involving six Russian gold mines with ambassador Alexander Yakovenko after being introduced to him by a suspected Russian spy. "We met with him - I'm a businessman, why shouldn't I? I thought it was interesting." 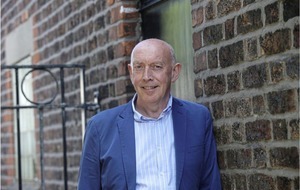 After the hearing, Mr Collins said: "Mr Banks and Mr Wigmore themselves put on the record that they frequently lie, exaggerate, misspeak and misunderstand. "So it is difficult for the committee to know if we should take all of their answers seriously when it comes to data sharing and misuse, campaign spending, and their meetings with high ranking Russian officials. "They accuse other witnesses to this committee of being dishonest, yet admit to the inconsistencies in their own evidence." 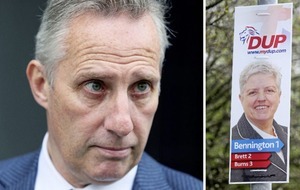 The two Leave.EU leaders left the hearing to go for lunch with DUP MP Ian Paisley. 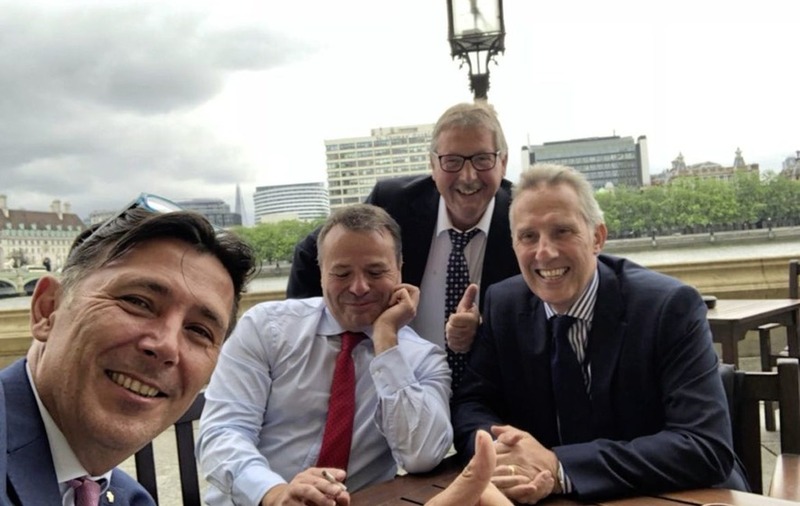 The MP said he had an "entertaining lunch" with the pair, adding there was "no caviar or vodka" in reference to the row over their contacts with Russia.